The short below, The Awakening (Maya Pictures, 2014), is a cinematic treatment of Rumi's poem "The Awakening", filmed, directed, and edited by Ivan Maria Friedman. The actress, who also provides the voiceover, is Elena Samuylova. The music is Wagner's Das Rheingold, Scene I: Vorspiel. The poem's text can be found in The Love Poems of Rumi (Harmony, 1998), edited by Deepak Chopra. THE AWAKENING from Ivan Friedman - MAYA PICTURES on Vimeo. 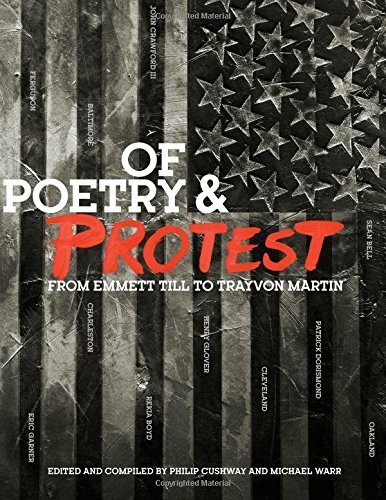 Today's post spotlights two noteworthy volumes of protest poems that I've read and highly recommend. Anyone who feels good about any of this never wakes up again. Anyone whose heart isn't broken begins breaking. 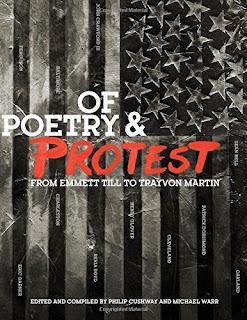 ✭ Of Poetry & Protest: From Emmett Till to Trayvon Martin (W.W. Norton, 2016) ~ Compiled and edited by Philip Cushway, who conceived the two-years-long project, and Michael Warr, the poetry editor, this substantial and impressive, "unapologetically political" anthology offers work by a Who's Who of African American poets, including Amiri Baraka, Kwame Dawes, Nikkey Finney, Terrance Hayes, Major Jackson, Douglas Kearney, Ishmael Reed, Frank X Walker, and Pulitzer Prize-winners Rita Dove, Yusef Komunyakaa, Tracy K. Smith, and Natasha Trethewey. In addition to the poems by the 43 contributors, the beautifully produced 224-page book includes candid photographs by Victoria Smith of all the poets, as well as brief biographical statements and personal, often moving essays in which the poets trace their paths into poetry and what poetry means to them. Quotes and images of seminal figures, events, and posters that endow the highly relevant poetry with important historical and cultural context, from the earliest days of the Civil Rights Movement to the current #BlackLivesMatter movement, also are included. To bring together in a single, cohesive volume so many remarkable bearers of witness — poets who, Warr points out, "are collectively joined through the transformative work of truth-telling" — is a laudable achievement. This is not a volume to read only once and put away on a shelf, though Warr writes that his hope is "that one day this book is a relic", for the urgency of its words attest to the considerable work remaining to all of us to do, if we are ever to realize what The Rev. Dr. William Barber II says in the Epilogue is "a longing for a moral movement that plows deep into our souls." proportion to how much you love it. Today's short is Dear Mr. Shakespeare, from the British Council's Shakespeare Lives 2016 project. It is inspired by Shakespeare's tragedy Othello. The film's director is Shola Amoo. 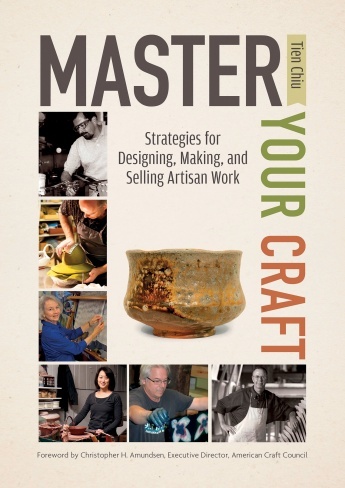 ✦ The American Craft Council is observing its 75th anniversary this year. To celebrate, it's enclosing in each issue of its American Craft magazine a poster from a collectible series of nine that only subscriber-members will receive. (The magazine publishes six times a year.) The first poster, which appeared in the February/March issue, is the wonderful makers' vision statement. Note: The ACC's annual Baltimore, Maryland, Craft Show began February 22 and continues through this weekend. 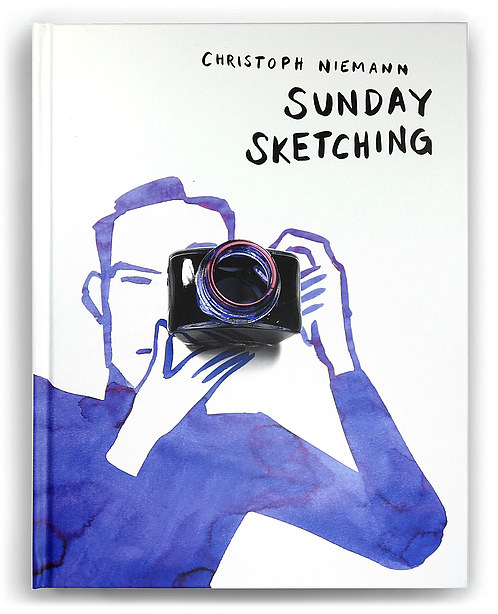 ✦ Illustrator and author Christoph Niemann has published a new book: Sunday Sketching (Abrams, October 2016); a German edition is available. Among Nieman's many other books are WORDS (Greenwillow Books, October 2016 ), a visual dictionary for children. ✦ South Africa-born sculptor Estella Fransbergen concentrates her attention of "the expression of human form"; in particular, the female torso. In addition to working with clay and bronze, the primary media for her torsos, Fransbergen uses such materials as crochet wire, glass, twigs, shells, feathers, Swarovski crystals, and pearls, quartz, and coral, to give the torsos both a fuller bodily shape and sense of movement. 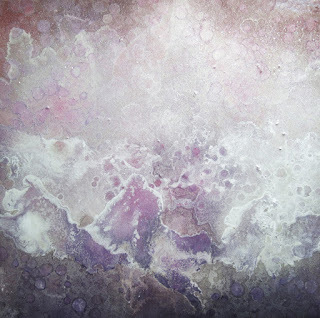 Her gorgeous creations combine the aspects of strength with the seemingly ethereal. The artist, who lives in the U.S., will be showing her work this weekend at the American Craft Council's Craft Show in Baltimore, Maryland. 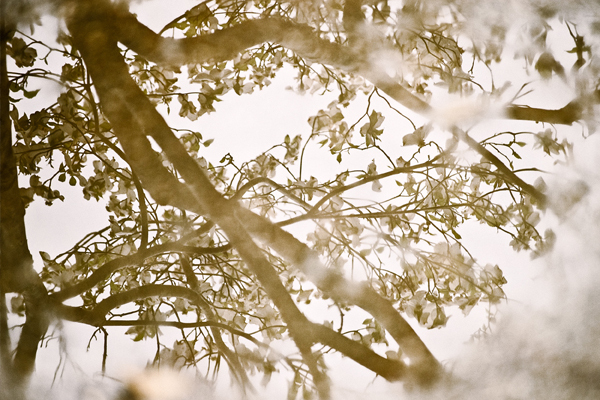 Visit her Website to view Fransbergen's portfolio. ✦ Here's an abbreviated Louisiana Channel film from Roxanne Bageshirin Laerkesen in which five artists — Richard Serra, Phyllida Barlow, Antony Gormley, Sarah Sze, and Doug Aitken — talk about making sculptures. Full interviews with each of the artists can be found at "5 Artists on Making Sculptures". ✭ The Parrish Art Museum, Water Mill, New York, is presenting "Poets and Painters" through October 30. Among work on view: Darragh Park's painting Oriane (c. 1982) with an autograph poem by James Schuyler; Jennifer Bartlett's painting At Sands Point #16 (1985-1986); Alex Katz's photoengraving Portrait of Frank O'Hara (2009); and Ray Johnson's collage Marianne Moore's Hat (1973). ✭ Work by New Mexico-based multidisciplinary artist and educator Paula Wilson is on view through April 29 at the Bemis Center for Contemporary Art, Omaha, Nebraska. Featuring Wilson's paintings, videos, black-and-white prints, and prints on fabric, the solo exhibition, "Paula Wilson: The Backward Glance", addresses themes of race, identity, and objectification of the female body in the context of reimagined historic heroines — the Athenian Acropolis's caryatids — whose narratives Wilson reconstructs to represent the reclaiming of feminine and multicultural power. Several photographs from the installation are at the exhibition link. ✭ Continuing through March 26 at Fuller Craft Museum, Brockton, Massachusetts, is "John Bisbee: Material Obsession", comprising the site-specific installation of welded spikes, Out of the Garden, including the sculptures Viper (2016) and Fruit of My Roots (2016), and Text (2016). Adhering to his manta, "Only Nails, Always Different", Bisbee crafts his work from the single medium he has used for almost three decades. See Bisbee's recent work for views of the remarkable installation. John Bisbee | American Sculptor from DomFrancis on Vimeo. ✭ Like John Bisbee, sculptor Al Farrow also works with limited material: second-hand guns and ammunition that he repurposes to create extraordinary objects, including reliquaries, mosques, cathedrals, and a variety of other devotional pieces such as menorahs. Farrow's talents as showcased in the exhibition "Divine Ammunition: The Sculpture of Al Farrow", at Washington's Bellevue Arts Museum through May 7, will leave you amazed. A generous selection of Farrow's architectural structures can be seen at the exhibition link above and on Farrow's Website (see Reliquaries). ✭ While you're in Washington State, head to Tacoma's Museum of Glass for "Into the Deep". Continuing through September, the exhibition presents more than 55 marine-inspired glass objects by 16 national and international artists, including Alfredo Barbini (1912-2007), Dale Chihuly, Shayna Leib, Kelly O'Dell, Kait Rhoads, Raven Skyriver, and Hiroshi Yamano. Three digital tours are available. Fifteen of the displayed pieces were made in the museum's own Hot Shop. On April 30, from 12:00 p.m. to 5:00 p.m., the museum is host to the exhibition-related program "Kids Design Glass in the Hot Shop". Today, Thursday's Three spotlights a trio of noteworthy art titles. 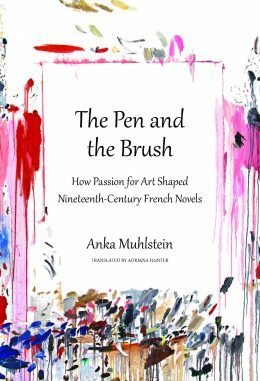 ✦ The Pen and the Brush: How Passion for Art Shaped Nineteenth-Century French Novels (Other Press, January 31, 2017) ~ Historian and writer Anka Muhlstein, winner of the Prix Goncourt de la Biographie and two-time recipient of the French Academy's History Prize, has written biographies of Queen Victoria, James de Rothschild, Elizabeth I and Mary Stuart, and Astolphe de Custine, among others; with her husband, Louis Begley, she co-wrote Venice for Lovers (2005). 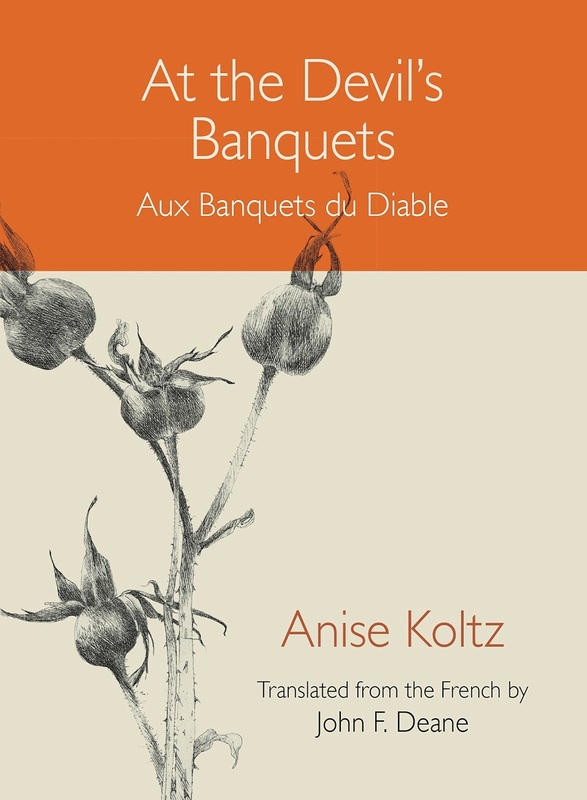 Her new book, The Pen and the Brush, focuses on such writers as Honore de Balzac, Emile Zola, Marcel Proust, Joris-Karl Huysmans, and Guy de Maupassant and the role of painters, such as Cezanne and Delacroix, as characters in their novels. Read an excerpt from The Pen and the Brush, which was translated by Adriana Hunter. 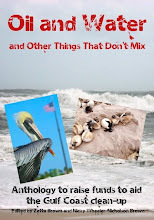 On March 23, 7:00 p.m. - 8:30 p.m., Muhlstein will give a lecture, answer questions, and sign copies of her book at the Alliance Francaise of Greenwich, Greenwich, Connecticut. 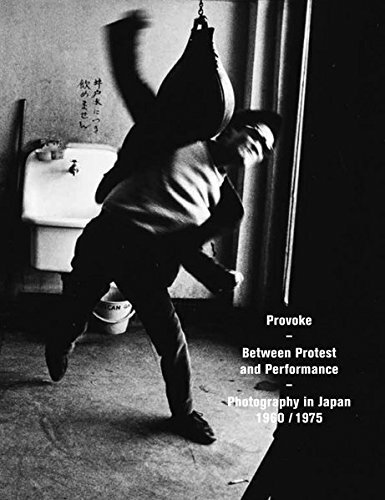 ✦ Provoke: Photography in Japan Between Protest and Performance 1960 - 1975 (Steidl, 2016) ~ Accompanying the traveling exhibition "Provoke", at the Art Institute of Chicago through April 30, the 680-page, scholarly catalogue focuses on the short-lived, experimental Japanese magazine Provoke — its creators, its historical context, and its post-war influence on photography. The book is in English and includes 600 images. ✦ The Materiality of Mourning (Harvard Art Museums, January 2017) ~ Harvard Art Museums curator Mary Schneider Enriquez examines the past 15 years (2001 to present) of the sculptor and installation artist's work on political violence and oppression, with particular attention given to the development and evolution of her approach, her artistic practice, and her use of organic and nontraditional materials. 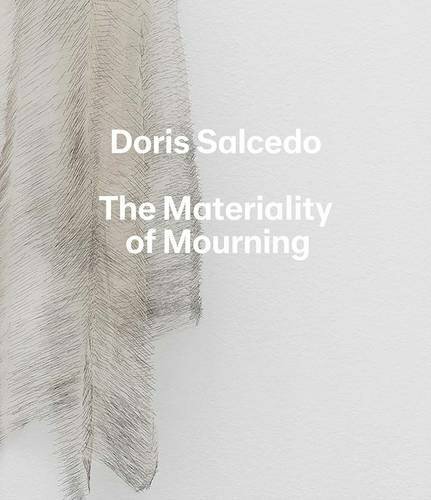 Also including an essay by conservation scientist Narayan Khandekar and a contribution from Salcedo, the illustrated book accompanies the exhibition "Doris Salcedo: The Materiality of Mourning" at Harvard Art Museums through April 9. Chinese artist Jiang Zhi, a graduate of the China Academy of Fine Arts, practiced journalism from 1995 to 2005, work that exposed him continually to important sociocultural issues — for example, issues about the body and gender; materialism and mass consumerism; isolation and estrangement; fate, change, and transformation — that he addresses in his art using video, which he favors, and other contemporary media. His use of light, color, and cloth lends an often deeply expressive feeling to Jiang's art that sometimes can seem strikingly at odds with the narrative of the subject matter, especially where Jiang incorporates materials from social events, social media, and public figures such as Mao Zadong and Deng Xiaoping. (See Dun Dongdong's article "Binary System".) Reviewers of his work frequently reference the metaphorical and poetic qualities of Jiang's art (see Jiang's Corner and Above the white), the latter particularly effective in pointing up the contrasting realities the art underscores, as in, for example, Black Sentences, I am your poetry No. 1 and No. 6, and Jiang's video Fly, Fly, which depicts a hand miming a bird in flight (escaping? ), or at least flapping its wings, even though the reality is that it's confined to a cramped space. 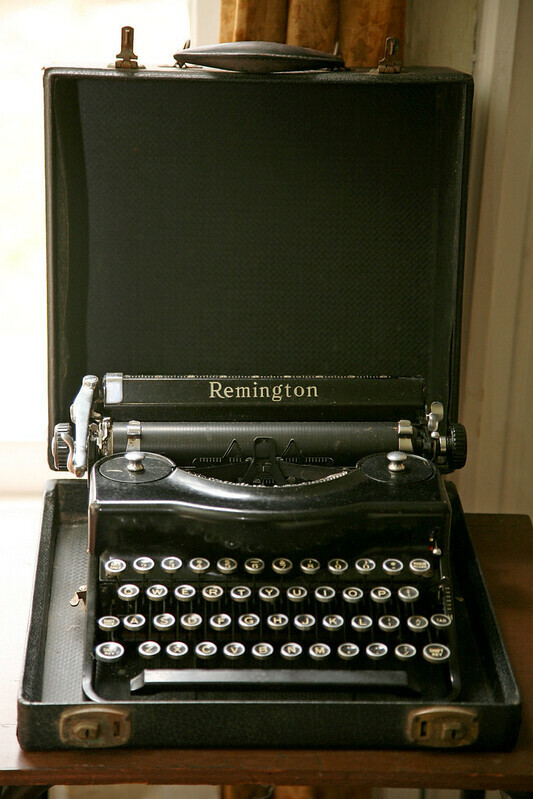 Some work, such as I am your poetry No. 4, are as unsettling as they are dramatic. 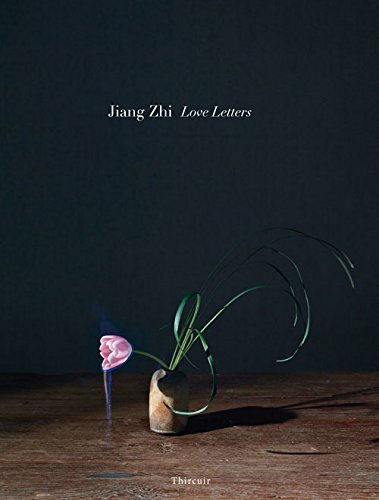 Jiang's Love Letters was reproduced in the limited-edition volume Jiang Zhi — Love Letters (Thircuir Books, 2015). It also is available in paperback. In addition to video and photography, Jiang's artistic practice encompasses oil and silkscreen painting, sculpture, and installation. 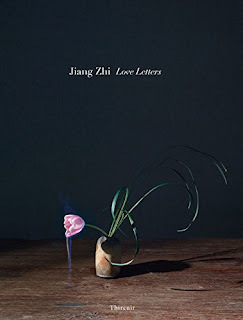 Jiang Zhi, interviewed by Xioayu Weng from KADIST on Vimeo. The short below, Hoosier Quilt (ThinkAhead Studios, 2017), directed by Jason Drake and Lexi Hiland, features 2016-2017 Indiana Poet Laureate Shari Wagner's poem of the same name. Showcasing local artists' creativity, it was created for the Indiana Arts Commission in celebration of the IAC's 50th Anniversary. The music is by Timothy Carlos and is performed by Natalie Cole, Logan Jones, Kim Busic, and Carol Weirich. Featured are Jerry Karwowski (Painter), Frank Steans (Guitarist), Lexi Hiland (Pianist), Matt McMahon (Wanderer), Emilia Floody (Dancer), and Daren Redman (Quilter). Grace Milligan provides narration. Some footage is from the Indiana Department of Tourism Development. The curator of the Vassar exhibition is Mark O'Berski, vice president of the Millay Society. A smaller exhibition, "Millay at Vassar", opens at Steepletop in May. Drawn from the college's archives and curated by Gretchen Lieb, Vassar's reference librarian, the exhibition will bring together originals and facsimiles of works by the Pulitzer Prize-winning poet. In addition, in the Photo Gallery of Vassar's art center is "A Certain Zest: Artists' Portraits of Edna St. Vincent Millay" (referenced above). It runs in conjunction with "Treasures from Steepletop". * Quoted from Office of Communications's exhibition announcement, which is also the principal source of information for this post. A number of images accompany the announcement. The Library of Congress also is the repository for portrait photographs of Millay by Berenice Abbott, Arnold Genthe, and Carl Van Vechten. 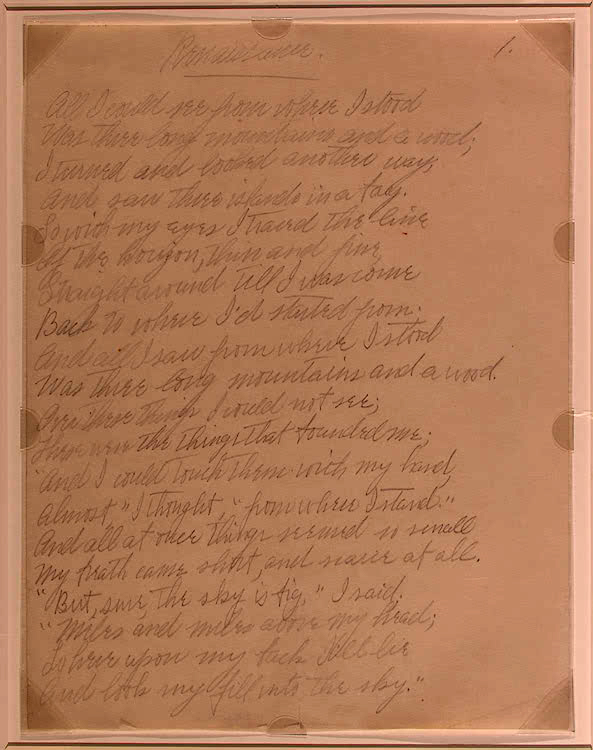 Also see American Treasures of the Library of Congress, A Voice of Her Generation, where you'll find an image of a pencil holograph of the unfinished original draft (c. 1912) of the poem "Renascence". the absurdity of being hits us in the face. I like to think of my film as a film about friendship. This is how I always thought of it. But this is not all it is. are the memories it carries. 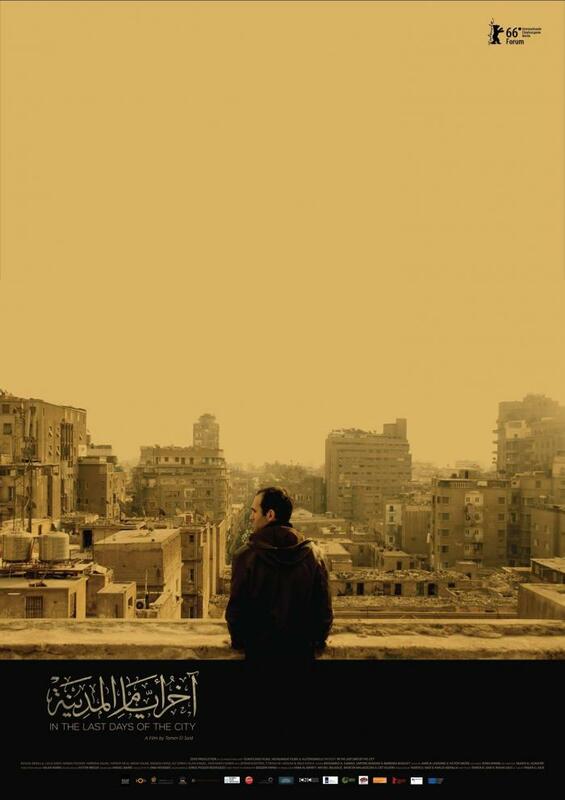 Today's short is the trailer for the critically acclaimed In the Last Days of the City (2016), the first feature-length film from Egyptian director Tamer El Said. 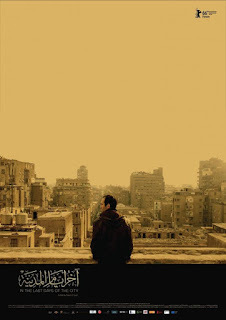 Written by El Said and Rasha Salti, the screenplay, about a filmmaker, Khalid, in Cairo in 2009 who is trying to make a movie about the city even as he struggles to deal with loss in his life. To motivate Khalid, his friends send him footage about their lives in Beirut, Baghdad, and Berlin. The elegiac, 118-minute film, described as "docu-fiction", has been screened at numerous film festivals (it premiered at Berlin International Film Festival last year) and has received a number of awards. Watch a film discussion with El Said and Khalid Abdalla (he plays "Khalid") following the movie's North American premiere at "New Directors/New Films 2016" sponsored by the Film Society of Lincoln Center and the Museum of Modern Art, New York City. ✦ Belgium's Jeanne Opgenhaffen uses natural (white) and colored porcelain, as well as printed porcelain, to create her gorgeous pieces. Widely exhibited, Opgenhaffen's work can be found in museum and private collections throughout the world, and has been the subject of numerous articles in art periodicals. ✦ Looking for a way to encourage initiatives between artists and local businesses? The Guide for Business Districts to Work with Local Artists, from Springboard for the Arts and the International Downtown Association, is an essential toolkit. The resource is free. See Toolkits for Change for additional resources. 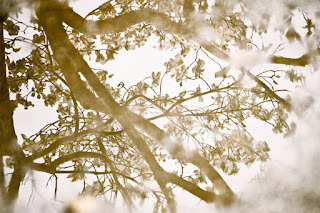 ✦ Yesterday's Artist Watch at Escape Into Life showcased poet-photographer Kelle Sauer. ✦ The nonprofit Wattis Institute for Contemporary Art, San Francisco, has created an interactive Website unlike any you've seen before. Part of the California College of the Arts, it is both an exhibition space and a research center. The institute, by the way, sells limited-edition artworks. 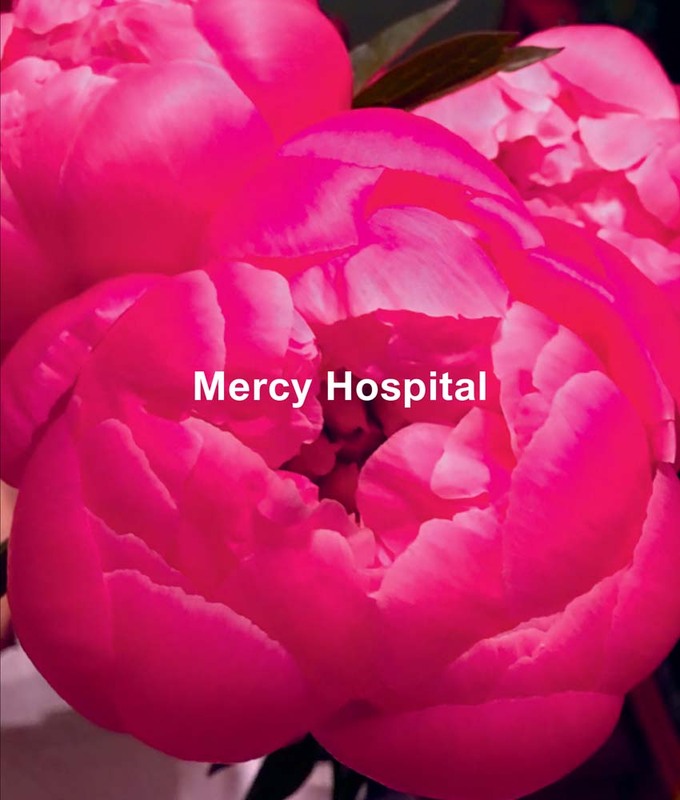 ✦ The new artbook Ida Applebroog: Mercy Hospital (Karma, January 2017) publishes for the first time a series of drawings that Applebroog made while institutionalized in 1969. Sometimes figurative, sometimes abstract, the drawings are in graphite, India ink, and watercolors and were created following Applebroog's breakdown, a period when she "withdrew from the world entirely." The book's text is by Jo Applin. ✦ In the video below, artist and filmmaker Lamia Joreige of Lebanon discusses her multi-media installation Under-Writing Beirut, an exploration of the city's history of conflict. Joreige is one of six artists (of more than 700 nominated) shortlisted for Artes Mundi 7, a major international art prize and exhibition at National Museum Cardiff and Chapter Gallery, in Cardiff, Wales, continuing through February 26. My thanks to British Council Arts for the video. ✭ The Lamont Gallery at Phillips Exeter Academy, Exeter, New Hampshire, is host to the multidimensional "Clew: A Rich and Rewarding Disorientation", featuring collaborating artists Deborah Barlow (painter), Todd Hearon (poet), Jung Mi Lee (pianist; transdisciplinary artist), and Jon Sakata (concert pianist; transdisciplinary artist). A shout-out to gallery director Lauren O'Neal is well-deserved. The show runs through April 15. For a detailed description of the project, see Deborah Barlow's Slow Muse post, "Clew: A Collaboration". Installation shots can be found at "Clew: In Process". Additional information and images can be found at the exhibition link. ✭ At the Farnsworth Art Museum, Rockland, Maine, flood, fire, earthquake, drought, and other disasters, natural and human-made, are the focus of "Art of Disaster", continuing through April 23. On view are works by Washington Allston, Leonard Baskin, Harrison Bird Brown, Augustus Buhler, Jonathan Fisher, Winslow Homer, James Hope, Waldo Pierce, and N.C. and Andrew Wyeth. Several images are available at the exhibition link. 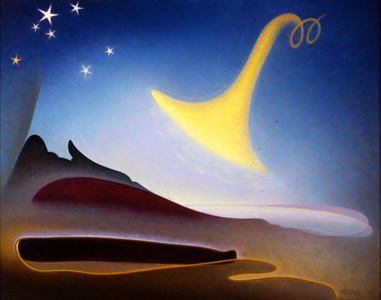 ✭ Santa Fe's New Mexico Museum of Art is presenting "Conversations in Painting, Early 20th Century to Post-War American Art" through April 30. The exhibition, drawn from the museum's collection, encompasses such painting movements as the Depression Era, Abstract Expressionism, and Minimalism. Featured is work by Robert Henri, John Sloan, Gene Kloss, Florence Pierce, Raymond Jonson, Agnes Pelton, Frederick Hammersley, Agnes Martin, Hans Hoffman, and Mala Breuer. ✭ Photographer Lee Friedlander's series Prayer Pilgrimage for Freedom is the subject of "Let Us March On" at Yale University Art Gallery, Princeton, New Jersey. On view through July 9, the exhibition commemorates the 60th anniversary of the series, displaying it publicly for the first time. The series is Friedlander's only work specific to the Civil Rights Movement. On March 9, 5:30 p.m., the museum is host to "Documenting the African American Liberation Struggle Today: Artists in Conversation", with exhibition organizer La Tanya S. Autry and others. On April 26, 12:30 p.m., a gallery talk, "Memory's Reflections: Some Thoughts on the Photography of the Civil Rights Marches", is scheduled with Laura Wexler, a Yale University professor. Additional exhibition-related events are included in the exhibition press release (pdf). 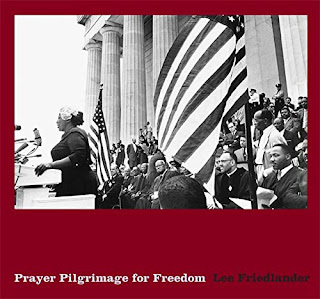 The 88-page, illustrated Prayer Pilgrimage for Freedom (Eakins Press Foundation, 2015) also is available. ✭ Oil paintings, photographs, scans printed on aluminum, and 3-D printed ceramics are included in "Kate Blacklock: Looking Closely at What is Not There", on view through May 7 at Rhode Island's Newport Art Museum. 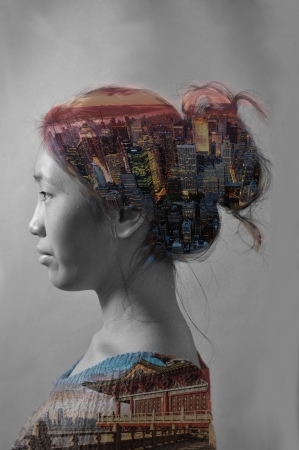 The Providence-based artist's photographic imagery is especially notable. Many of her florals are exquisite; in particular, see in the photography section of her online portfolio her landscapes inspired by Chinese paintings and her Scholars Rock series, which are extraordinary. 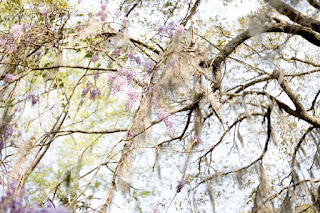 I'm delighted to present the work of photographer Kelle ("Kelly") Sauer in today's Artist Watch column at the online arts magazine Escape Into Life. Entirely self-taught, Kelle, who describes herself as "a poet-photographer", is known for her wedding and lifestyle imagery. Her beautiful, light-filled work has been featured in a wide variety of online and print publications, including French Wedding Style, Style Me Pretty, and Elizabeth Ann Designs. Today's Artist Watch column showcases eight of Kelle's digital photographs, an Artist Statement, a brief biographical statement, and Kelle's social media sites. Take a minute to listen to the sound of this nine-pipe candle organ that changes pitch as the wax melts. The organ is the creation of Dutch artist Ronald van der Meijs, who installed the organ in his solo exhibition at De Vishal Haarlem in the Netherlands, "On the Edge of Mystery, Where Discoveries Take Place". Van der Meijs writes in his Artist Statement, "Each work is a metaphorical and conceptual treatment of sound, space, time and material [that] lend a narrative quality to the machine-like character of the work, causing [it] to transcend [the] merely technological nature and raise the question to what extent our actions and expectations are conditioned." Read this short article at Atlas Obscura to learn how the organ works, or watch the trailer to 20-minute documentary from Marcella Kuiper. Van der Meijs's Website offers a bounty of fascinating projects to explore. 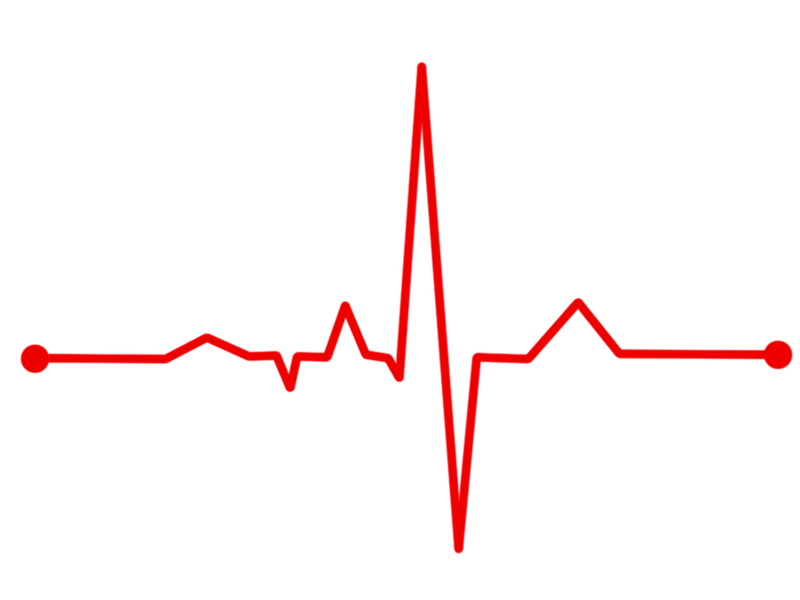 See, for example, For whom the tides toll 2.0 (2015) and Transluminal Coronary Angioplasty (2009). a hard kiss a tragedy that time. a philosophy of someone's certain love. 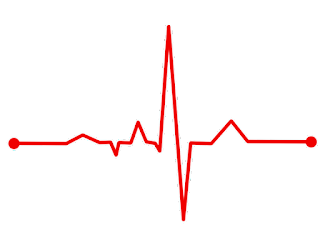 Found Poem Source: Diana Marie Delgado, "Who Makes Love to Us After We Die"
Monday Muse rounds up a half-dozen winter and early- to late-spring exhibitions or other events related to poetry and art. ✦ "American Stanzas: 2006-2016 with Rachel Eliza Griffiths" ~ At New York City's Poet House, this free exhibition of photography and mixed-media works by Cave Canem fellow Rachel Eliza Griffiths continues through February 25. Included is a curated folio of Griffiths's early photography work. 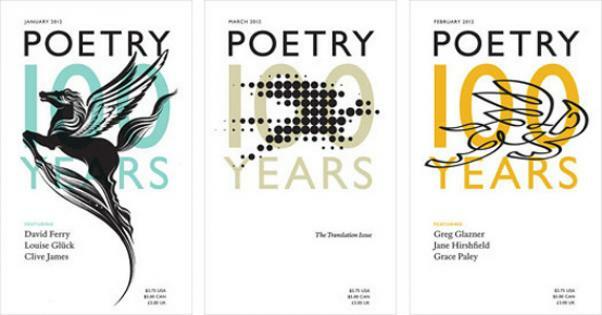 On March 22, 6:00 p.m., Poets House opens "Poetry Since 1912: Books, Issues & Ephemera from the Poetry Foundation". Editor Don Share will give an oral history of Poetry magazine at 7:00 p.m.
T.S. Eliot fans take note: Eliot's first published poem, "The Love Song of J. Alfred Prufrock" will be on view in "Poetry Since 1912". Other highlights, in addition to rare copies of Poetry: inscribed books of Langston Hughes and Charles Bukowski. The free exhibition continues through June 16. ✦ "A Thousand Mornings in New Bedford" ~ Located at New Bedford City Hall through March 3, this exhibition of the work of six local artists — Marissa Bolton, Jacob Gina, Gregg Harper, Heather Hobler, Dudley Moor, and Ruth Rego — takes as its theme Cape Cod poet Mary Oliver's "I Go Down to the Shore". In interpreting the nautical theme, the artists created collages, photographs, paintings, and sculpture. Sponsored by New Bedford Art Museum/ArtWorks!, New Bedford, Massachusetts, the show marks a new partnership between the mayor's office and NBAM/ArtWorks! ✦ "Jun Fujita: Oblivion" ~ On view through April 21 at the Poetry Foundation's Chicago headquarters, this exhibition features the lesser-known landscape photography of poet Jun Fujita (1888-1963), as well as ephemera from his life and photojournalism. ✦ "21 Etchings and Poems" ~ Curated by Courtney Spencer Eppel, a museum studies graduate student, this exhibition at Syracuse University Art Galleries, Syracuse, New York, features the landmark pairing of 21 artists and authors and the unique artworks that resulted. On view through May 14, the exhibition brings together the pairings of such artists and poets as Peter Grippe and Dylan Thomas; Willem de Kooning and Harold Rosenberg; Letterio Calapai and William Carlos Williams; and Franz Kline and Frank O'Hara. A selection of five images is available at the exhibition link above. The 21 etchings and poems project was conceived by Peter Grippe (1912-2002), a sculptor and printmaker, in 1951; 50 numbered copies of the portfolio and 12 sets of artist proofs resulted (one is in the Library of Congress). A complete portfolio was exhibited at Woodward Gallery in 2012. ✦ "Art of Poetry" ~ On March 18, 2:00 p.m. - 3:30 p.m., Hickory Museum of Art, Hickory, North Carolina, conducts an ekphrastic poetry walking tour in honor of Women's History Month 2017 and the exhibition "WOMAN MADE: Women Artists from the Hickory Museum of Art Collection". 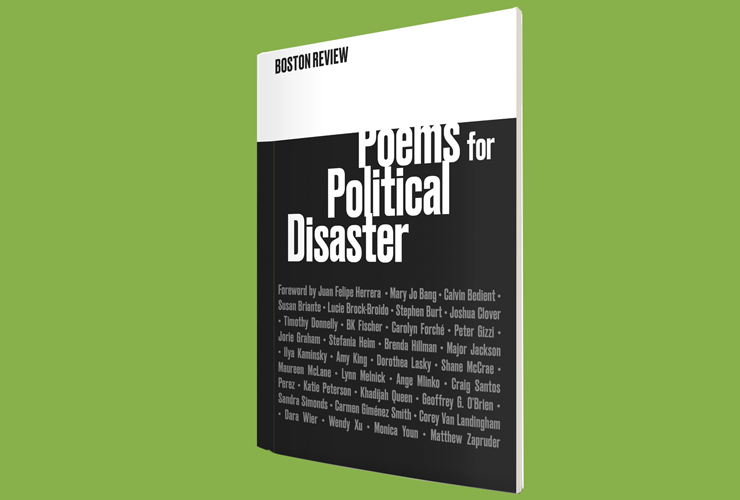 Poems inspired by the exhibition, which continues through April 23, may be submitted for consideration (deadline: March 4). ✦ "Concrete Poetry: Words and Sounds in Graphic Space" ~ Opening March 28 at the Getty Research Institute, Gallery I, Los Angeles, the exhibition brings together prints, artist books, journals, and archives documenting the concrete poetry movement. Work by Ian Hamilton Finlay (1925-2006), Augusto de Campos and his Brazilian colleagues, Eugen Gomringer, and key contemporary figures who have led the movement in new directions is showcased. Running through July 30, the exhibition also examines how Finlay and de Campos invented such new poetic forms as "poster poems" and "standing poems" and reproduced their work across media to render poems into 3-D objects and digital animations. Today's short is the sensitively made Last Letters (Contented Productions, 2016), directed by Nils Clauss. Made in South Korea, this moving documentary is about the April 16, 2014, Sewol ferry accident in which 304 of 476 persons, most of them teenagers, perished. Much of the film, which has English subtitles, comprises interviews with families of eight of the victims. ✦ Botanical documentation of rare and endangered species of prairie wildflowers is a specialty of Heeyoung Kim, recently the subject of a WTTW Chicago PBS feature. See her exemplary portfolios. The Joel Oppenheimer Gallery, Chicago, represents this extraordinary artist. ✦ A new Website, Women Who Draw, has been launched to spotlight the work of female illustrators. Its founders are Wendy MacNaughton and Julia Rothman. Read Vicky Baker's BBC News feature "Women Who Draw Website Reveals World's 'Hidden' Female Illustrators". ✦ My friend Ann Martin at All Things Paper recently featured collage portraits by Annie Brandicourt. What a talent! ✦ Another source of original, limited-edition prints is The Drawing Center, New York City. Among the artists whose prints are available are Sean Scully, Pat Steir, Richard Tuttle, and Martin Wilner. The video was produced and edited by Roxanne Bagheshirin Laerkesen. The interview took place in June 2015. 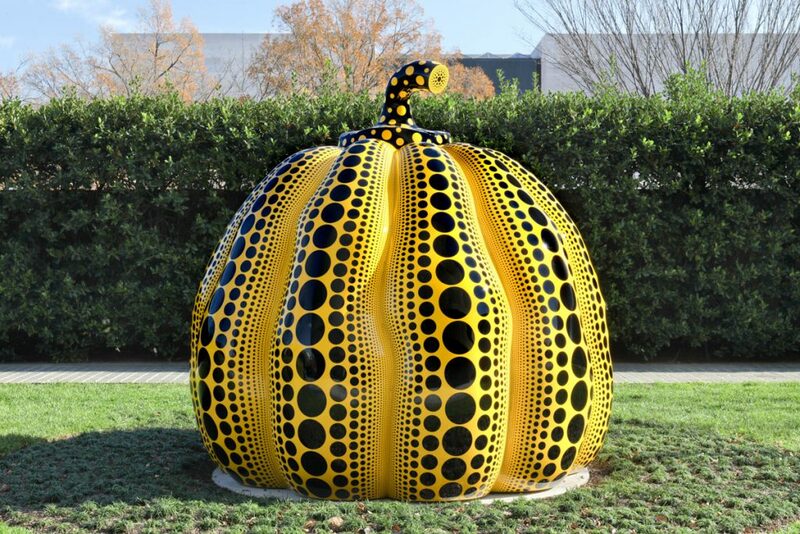 The Hirshhorn Museum, Washington, D.C., opens "Yayoi Kusama: Infinity Mirrors" on February 23. Advance timed passes, available beginning February 13, are required for the immersive exhibition, which will continue through May 14. 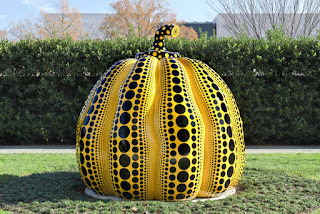 Also on view in the museum's Sculpture Garden is Kusama's Pumpkin (2016). ✭ If you're on a lunch break near the Amon Carter Museum of American Art, Fort Worth, Texas, stop in anytime through June 4 to see David Ellis's Animal, a nine-and-a-half-minute animated video installation comprising 75,000 still images. Ellis's collaborators were cinematographer Chris Keohane and composer Roberto Lange. The piece was commissioned in 2010 by the University of Texas at Austin. ✭ Continuing through February 26 at the Frist Center for the Visual Arts, Nashville, Tennessee, is the biennial "Young Tennessee Artists", a juried exhibition showcasing two-dimensional art by high school students. The sixth edition includes drawings, paintings, photographs, digital prints, and mixed-media work by 30 students, all enrolled in AP and IB studio arts programs in the 2015-2016 academic year. The participating youths' work was selected from more than 800 entries. Digital Print, 8" x 10"
✭ In Greenwich, Connecticut, the Bruce Museum has mounted "Alfred Sisley (1839-1899): Impressionist Master", the first retrospective in the United States in more than 20 years of Sisley's art. On view through May 21, the exhibition spotlights approximately 50 of Sisley's paintings, loaned by private collectors and major museums in Europe and North America. The Bruce Museum is the only venue in the U.S.; following its closing at the museum, the show will travel to Hotel de Caumont, Centre d'Art, Aix-en-Provence, France, where it will be on view through October 2017. ✭ Tonight, in Noyes Gallery I, Stockton University's Noyes Museum of Art in New Jersey hosts the opening reception for "A Dark Wood", which takes as its theme "being lost in the darkness of our fears, doubts and negativity." The exhibition, which continues through April 23, includes a range of media, including sculptural drawings and other paper art with 3-D aspects (raised designs, embossed images, cast paper pulp). ✭ Paintings, sculptures, and works on paper from the Isabelle and Scott Black Collection can be seen through June 4 at Maine's Portland Museum of Art. A critical survey of figurative art from the last quarter of the 19th Century through the first half of the 20th Century, "The Mistress and the Muse" examines the relationship between portraiture and figure studies and the various artistic approaches to depictions of specific individuals and portrayals of figures in genre or allegorical scenes.